Arunachal Pradesh Chief Minister Pema Khandu on Sunday declared that Pakke Paga Festival will henceforth be celebrated as a state festival. 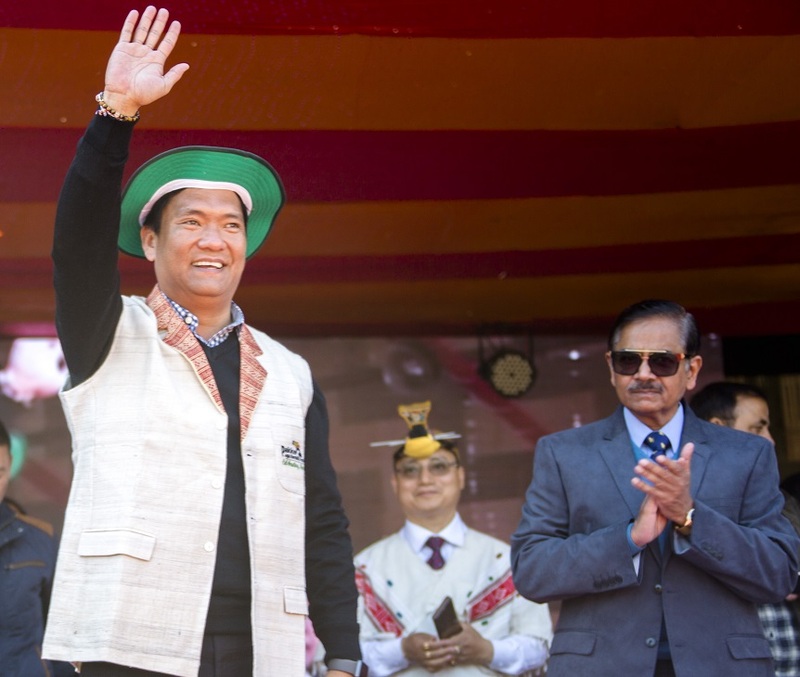 Khandu made the announcement while addressing the valedictory ceremony of the fourth edition of the festival Seijosa in East Kameng district. Pakke Paga, the only wildlife conservation-based festival of the state is a unique festival which celebrates the sense of responsibility and commendable effort of the Nyishi community towards the conservation of hornbill and other wildlife. Speaking at the event, the Chief Minister said the Pakke Paga festival has helped in creating awareness on nature conservation and lauded the initiative of local Nyishi community for bringing out such a beautiful festival. Taking note of the importance of such unique festival, Khandu informed that the State Government has allocated Rs 75 lakh through different departments for this year’s event. He urged the Forest Department to fund the festival annually in entirety from next year – since the festival concerns with the department assuring all support of the State Government. The Chief Minister said under his leadership, all major festivals of Arunachal such as Tawang festival, Mechuka festival, Orange festival, Ziro Music festival and Basar confluence were started. He said Arunachal has earned high reputation in the country in tourism promotion and informed that during the previous year, the State bagged the ‘most promising new destination’, ‘exotic destination of the year’, ‘best tourism initiative of the North East’ and ‘best decorated stand (national)’ award at different national tourism events. The Chief Minister said Arunachal has immense tourism potential and called upon local businessmen and entrepreneurs to invest heavily in tourism. He cited example of Tawang and said how the area has grown prosperous by investing heavily in tourism by the local entrepreneurs. The Chief Minister on the occasion also released a barking deer, named ‘Charmak’ (deer with white spots) which was rescued and raised by a local Nyishi family. Also present on the occasion were MLAs Biyuram Wahge and Tapuk Taku, head of NTCA Rajesh Gopal, BJP State Vice President Tame Phassang and other dignitaries.